Shobhna and Jason may live in Portland, but they, like so many others, have fallen in love with Bandon. 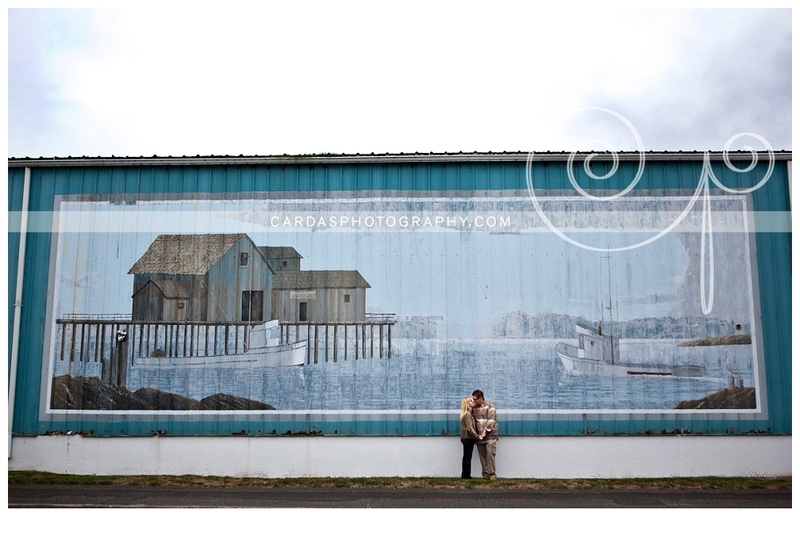 We shot their Engagement session near their home in North Portland. We started out at the rose garden at Peninsula Park, then we headed over to Cathedral Park for some shots with the iconic (and recently newsworthy) St. Johns bridge. I was so glad to see their neighborhood and talk wedding details over a cold one with Shobhna at their local favorite spot. I can't wait for them to take over Bandon with their big beautiful Indian Wedding in October! Shobhna has some serious skills! It was a gorgeous afternoon in the vineyard! I love when couples choose locations that are meaningful to them. TeSóAria Vineyard is a special place for them, as they are members and fans of their wine. It was a beautiful day, and I loved the wine tasting between outfit charges! Thanks to the great folks at Tesoaria for making us feel so welcome! 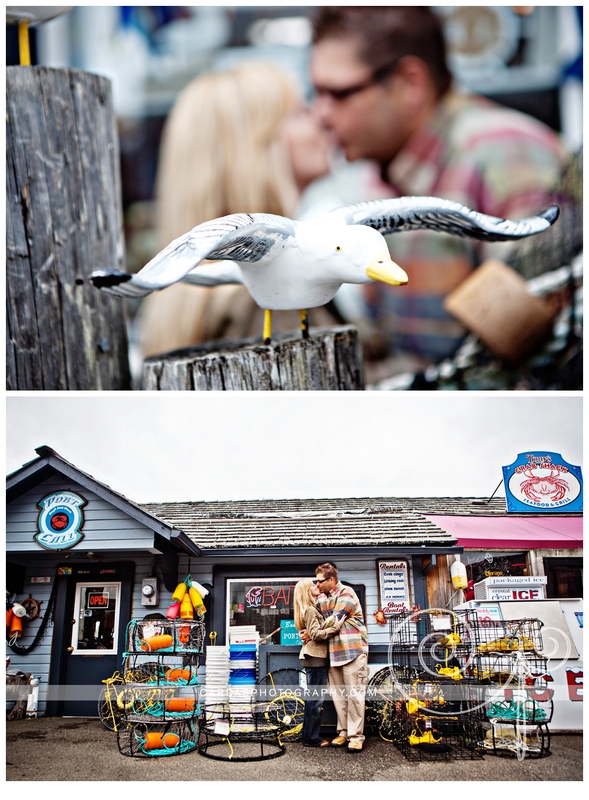 Tracy & Shawn flew all the way from Nashville, Tennessee to get married in Bandon Oregon. This was the day after their wedding day, I'm glad they made some time in their schedule to fit in an engagement session. Most people have so few photographs of themselves together not in their wedding gear! This huge mural has since been taken down, replaced with shiny new siding. Although it looks really nice now - I do miss the charm that the hand painted mural added to the area. I have been told that it was carefully removed and stored properly, so I hope it finds it way back to the light of day some day! Thanks to the wondrous invention of Facebook, I have been allowed to stay connected to people from all walks of my life. I have Facebook friends from Elementary, Middle and High school in Southern California, High school in Bandon, College in Ashland, Corvallis and Westfield Massachusetts, along with my professional history in Radio and the Scrapbooking industry. Angie is a fabulous lady from my Scrapbooking days in Portland. I was so flattered when she chose me to capture her wedding to her love George. 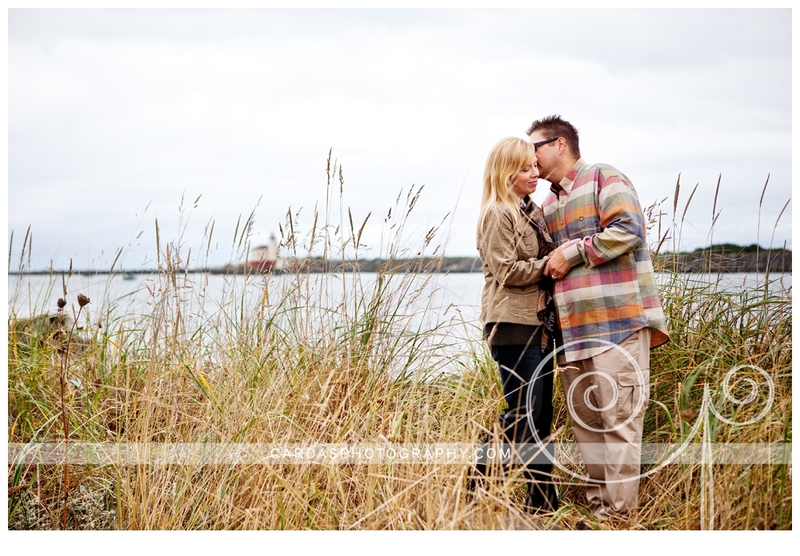 We met at Stella Olsen Memorial park for their Engagement session - joined by their two adorable Boxers. Jill was READY though. We started at the restaurant in Clackamas where they met, and tried to capture their other biggest love - college football. We did intend to shoot the rest of the session on a football field, but neither of us thought that through all the way, and low and behold all the local schools had games going on on this Fall Saturday morning, doh! But we went to plan b - and headed over to the "neutral" ground of Reed College in SE Portland. Being a Duck and a Beaver is so "them" that they plan on integrating the themes into their wedding decor as well. These photos are probably some of the only "nice" photos you will have of the two of you together not in your wedding attire. Make them something to remember, and something that shows your personalities as well!